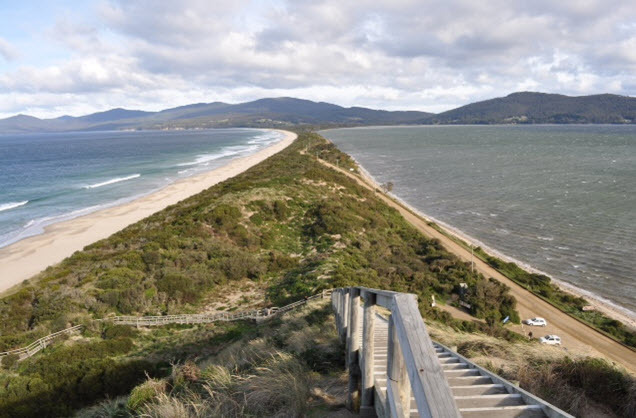 During our Tasmanian trip we visited Bruny Island, inspired by a fellow club member. It is only 1 1/2 hrs from SevenMile beach with a ferry ride and definitely worth the drive. They have tours out to seal colonies from Adventure bay! There is also the penguin colony at the bottom of the stairs on the left. If you plan your trip right and your there as the sun sets you would surely enjoy a fabulous up close experience. Hobart from Mt Wellington, only 25 min from the airport we made this our first stop. It was a perfect day and being June was only the start of winter so there was ice still frozen behind the rocks and trees but no snow to speak of whilst we were there. 180degree views of Hobart and on a perfect day, like we had makes for great photo’s. 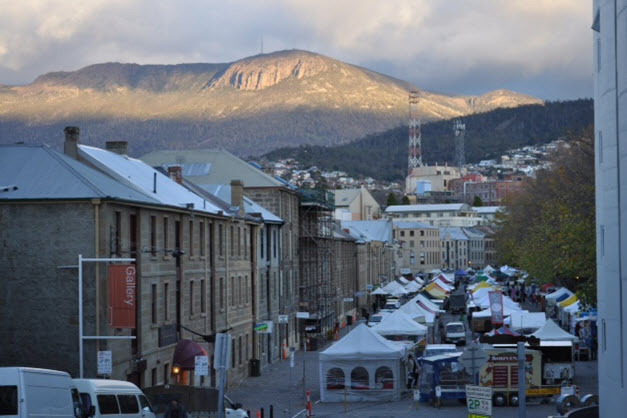 Saturdays Salamanca Markets in Hobart. We spent the morning here and had a delicious breakfast and wandered through the stalls before we made our way to Bruny Island for the afternoon. Photo’s don’t quite capture the atmosphere or the rich aroma of spices and oils, or fresh cooked pastries. I love markets they always feel so exciting and Salamanca Markets are world famous for a reason. Port Arthur and Point Puer. Seven Mile Beach Resort was the perfect base to see the southern highlights of Tasmania and Hobart but a trip to Port Arthur is a must, again only an hour drive from Seven Mile beach but the drive is part of the enjoyment, Midpoint to Sorell is gorgeous at sunrise and sunset and I do recommend letting yourself journey off the main road and down to Marion Bay, Pirates Bay and the Tessellated Pavement. They should not be missed. 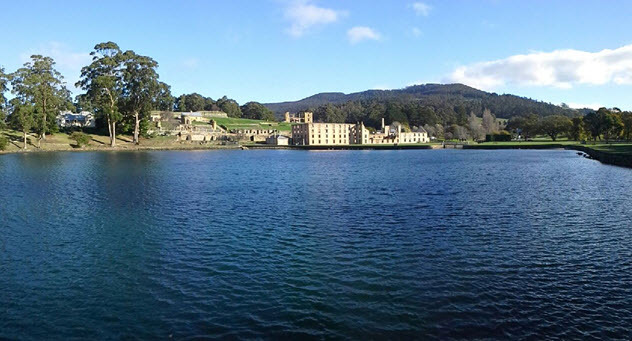 Ensure you give yourself a full day and I highly recommend the silver pass tour at Port Arthur. Marion Bay on the Tourist drive to Port Arthur. There is a nice cafe right on the harbour. We were to early to enjoy breakfast there, but we did get to see this stunning sunrise as we drove through. My favourite thing about Tasmania was that there was something special, new and stunning around every corner. I spent 4 fabulous days in awe and amazement at the beauty of the area and 3 lovely nights in my room curled on a couch in front of the fire place drinking my wine and enjoying a novel.